A redesign of one of the stamps that started it all, the Palmetto Round Address Stamp is a new take on a classic rubber stamp design. Featured in the center is your last name monogram. Surrounding this we've placed your last name at the top with your address rounding out the bottom. Impression size: 1.625". Not what you are looking for? See all Address Stamp Designs! Customization is fast! Just fill in the fields provided with the information you want on the stamp. Choose your favorite color, size, and style, then click Add To Cart to complete your order. Need it fast? Choose Expedited Processing on the next page. Proudly hand made in the USA, order now. NOTE: Some of the monogram letters may not look how you expect! Scroll down to see your letter! Ditch those ugly address labels of old and embrace a simpler way to send out every one of those cards during the year with one of our custom self inking address stamps! Address labels are sticky and rip quite easily, making their seeming advantages more like a limitation than anything. Express it with the help of stamps instead, and make it through your day-to-day to do list in a portion of the time. Not surprisingly, this Palmetto Circle Address Stamp will assist you all through the holidays! 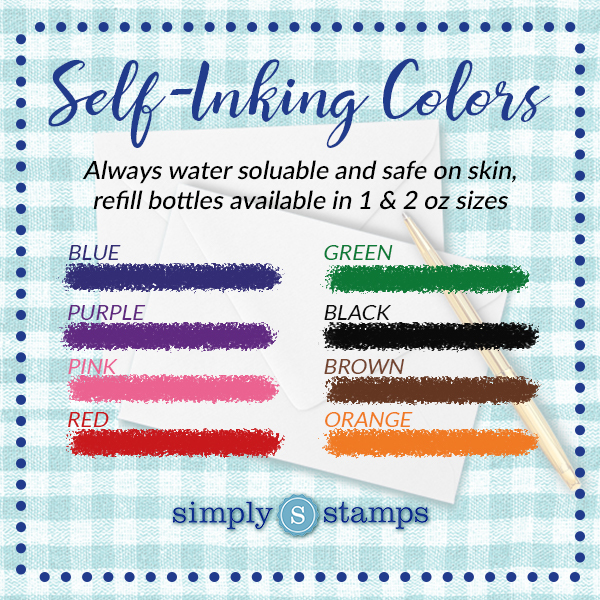 Made with only high grade products, this useful self inking stamp will last for years to come! Purchase yours today!